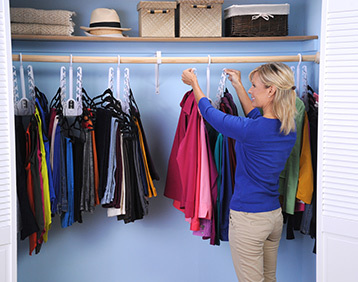 DUAL HANGER™ is an innovative space saving closet solution that quadruples your closet space in seconds. 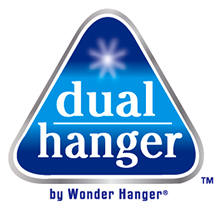 DUAL HANGER holds up to 10 garments and more! 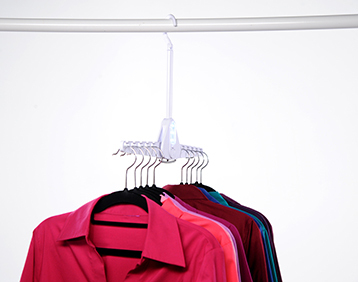 It swivels around the hook on a 360° turn, allowing easy access and viewing of your garments. 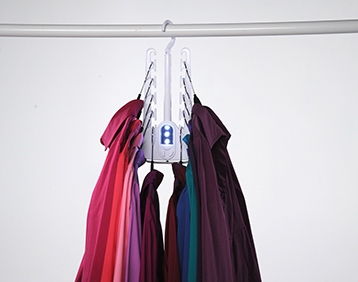 DUAL HANGER’s open slots are evenly spaced out, so clothes are wrinkle free. 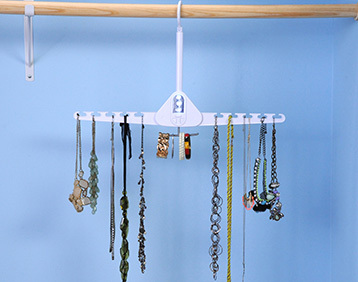 Now you can neatly hang anything ──shirts, skirts, pants, jackets and more. 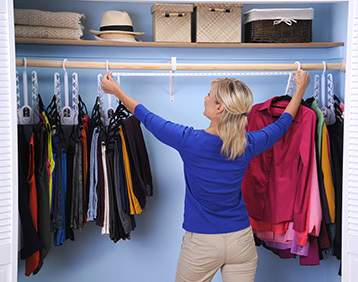 • Works on all types of hangers──wood, plastic or metal. • Built-in LED light to illuminate a dark closet. 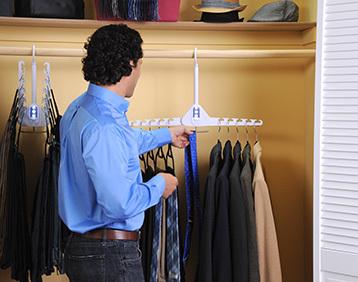 • Pull-down hook for ties, belts, bags and jewelry. 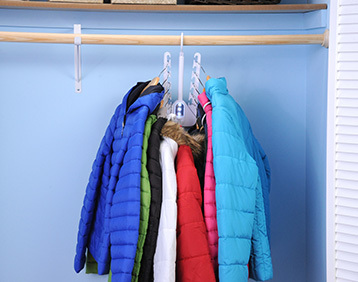 • Ultimate space saver for small closets, dorms, and apartments.